See what happens to doctors with real integrity who challenge the Medical Mafia? The equivalent of a public lynching. 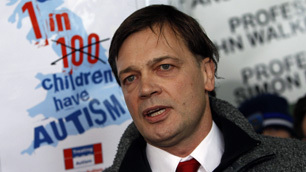 Dr. Andrew Wakefield, an outspoken critic of vaccines noted for his groundbreaking 1998 study published in British Medical Journal ‘The Lancet’ linking autism to the Measles, Mumps, Rubella shot has suddenly been rebuked by the same paper. The timing of this reversal is crucial as more & more parents of vaccine damaged children in Britain & around the world are organizing lawsuits against Big Pharma. Dr. Wakefield identified the gut/brain correlation in children with Autism all of whom received the MMR vaccine at 12 – 15 months (Inflammatory Bowel Disease a major common denominator). By treating the immunological intolerance of gluten, removing it from the diet, the bowel symptoms got better but also the behavioral symptoms got better. Primary Treatment: 1) Fibre mini Salicylates (plant based anti inflammatory) 2) Gluten Casein free diet (elimination of milk, wheat, rye barley, yeast intake). This is a very important issue. 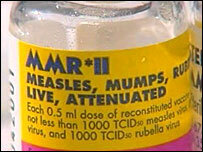 Most informed parents are now avoiding giving their child the MMR shot set, let alone any vaccines on the market. It is therefore vital for the vaccine gurus to get it on record that researchers such as Dr. Wakefield are quacks; to vilify & make scapegoats of these brave doctors who have risked their careers coming out with the truth. Now they will use this fake scandal to discredit anyone in court who challenges the MMR shot (or links it to Autism in any way). And it will also strengthen any counter to legal challenges by parents of children with Autism resulting from vaccines. Vaccines are the main cause of Autism, primarily due to the accumulative damage from the Hep B, MMR & DPT shots – multiple live viruses & heavy metal build-up. This leads to Ischemia, a singing of the neural pathways crucial for Oxygen flow to the brain from toxic overload, thus suffocating the neurons. Further thousands of parents have been wrongly imprisoned for ‘Shaken baby Syndrome’. Vaccine trauma was to blame. Dr. Andrew Wakefield is a hero of families everywhere, of we the people all of whom have somehow been touched by Autism. He is being singled out by a tyrants for speaking the truth against a vicious Medical Hegemony committed to lying & cheating in order to sustain its lucrative Industry of death. Nothing is more important than our health. We have to protect rebels who fight for our right to safeguard that sacred trust. The only way we will expose Big Pharma is by learning & spreading the truth. When Professionals risk their livelihood to help humanity we owe it to them to defend their honor once they are crucified for sticking their necks out. Because if we allow this to continue others will think twice before risking it all to save a few lives. What price liberty? Wakefield’s 1998 study demonstrated “anti-myelin antibodies and digestive tract pathologies in children with autism after being given the MMR vaccine.” Dr. Rebecca Carley. Findings: Onset of behavioural symptoms was associated, by the parents, with measles, mumps, and rubella vaccination in eight of the 12 children, with measles infection in one child, and otitis media in another. All 12 children had intestinal abnormalities, ranging from lymphoid nodular hyperplasia to aphthoid ulceration. Histology showed patchy chronic inflammation in the colon in 11 children and reactive ileal lymphoid hyperplasia in seven, but no granulomas. Behavioural disorders included autism (nine), disintegrative psychosis (one), and possible postviral or vaccinal encephalitis (two). “On Wednesday April 7th, General Medical Council (GMC) lawyers will demand that I and likely two other doctors involved in the MMR-autism case should be erased from the UK’s medical register, removing our license to practice medicine. Doctors’ regulators have found the three of us – Professor John Walker-Smith, Professor Simon Murch and me – guilty of undertaking research on children with autism without approval from an ethics committee. The loss of my own medical license is, unfortunately, the cost of doing business. Although I do not take this loss lightly, the suffering – so much of it unnecessary – that I have seen among those affected by this devastating disease makes the professional consequences for me a small price to pay by comparison. 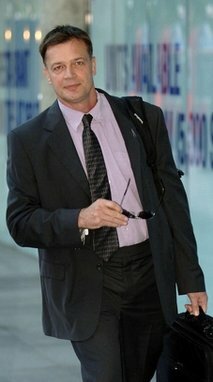 UPDATE: New independent research presented at the 2010 Pediatric Academic Societies Annual Meeting in Vancouver, Canada confirms unequivocally the findings of Dr Andrew Wakefield’s 1998 Lancet paper of an association between autism and serious gastrointestinal disease in children. MMR VACCINE TIMELINE: The measles-mumps-rubella vaccination was introduced to Britain in 1988. Its original introduction was seriously marred by adverse reaction to the Urabi mumps strain in the vaccination. It was not until 1992 that the Department of Health, downplaying the serious adverse events that had occurred using this particular strain, took two of the MMR vaccines off the market while making low-key and somewhat mumbled explanations to the public. NOTE: High Court Judge Sir Nigel Davis, who led the GMC panel targeting Wakefield, is brother to Sir Crispin Davis; a shocking conflict of interest which was covered up during Sir Davis’s tenure at GSK. The whole weight of the case against Dr. Wakefield is built on discrediting his research. But now we know that Glaxo-Smythe Kline were in major damage control after their MMR vaccine , rejected by the Canadian Government for its bad track record yet approved for use by the British Health Authorities turned out to be tainted with Mumps. This resulted in an outbreak of Meningitis in the UK. They were determined to cover up the potential fallout from the scandal. Initially the Lancet was quick to support Dr. Wakefield’s work in 1998. However that was before their Chief Executive Officer stepped down. 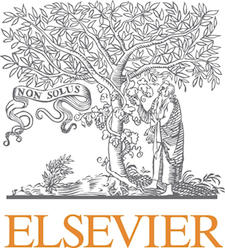 Enter Sir Crispin Davis who was appointed Chief Executive Officer of Reed Elsevier Group (which owns The Lancet) in September 1999. Co-incidentally he is also: Non-executive director of GlaxoSmithKline. As managing director he now had the power to simultaneously regulate Lancet policy & GSK strategy from behind the scenes. As Autism rates continue to skyrocket the Government seems increasingly determined to shut the door on the whole Vaccine-Autism argument once and for all. They will offer instead another direction; and with it enough rabbit holes to keep the Medical Industry profits pouring in for generations to come. Leaving our children the burden of shame for our not having done enough now to reverse the tide and take back our sovereignty. 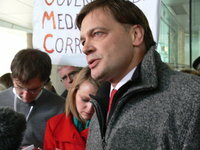 Wakefield said in January that the medical council’s investigation was an effort to “discredit and silence” him to “shield the government from exposure on the (measles) vaccine scandal.” Appearing from New York on NBC’s “Today Show” on Monday, Wakefield described the British decision as “a little bump on the road.” He claimed the U.S. government has been settling cases of vaccine-induced autism since 1991. ‘A now-retracted British study that linked autism to childhood vaccines was an “elaborate fraud” that has done long-lasting damage to public health, a leading medical publication reported Wednesday. * it is normal practice to take a medical history afresh – with only the referral letter from a patient’s family doctor setting out relevant prior clinical history. Further, the Royal Free clinical histories were taken not by Wakefield but by the then world leading gastroenterologist Professor John Walker Smith – who was also accused and found guilty by the General Medical Council and who is appealing to the English High Court. Over and above all this, as no parent was called by the GMC prosecutor in the GMC hearings [bar the one who thought the evidence was given for the Defendants’ benefit], there has been no opportunity for the parents to answer Mr Deer’s allegations or to challenge what he says nor has there been any proper full examination of these cherry-picked allegations, nor any opportunity for any claims now being made to be subject to cross-examination and independent investigation. There is some misrepresentation…. and lack of understanding of the process in studies involving histopathology.” and that there were significant findings “While a clinical gastroenterologist might consider caecal active inflammation with incipient crypt abscess formation to be normal in children (1), this is a significant finding to be recorded by pathologists“ “Caution in assessing histopathological opinions.” BMJ Rapid Responses 30 April 2010. DR. ANDREW WAKEFIELD WAS RIGHT. BRIAN DEER IS A LIAR. THERE WAS NO FRAUD. NO HOAX. HERE’S PROOF: ‘New documents have come to light confirming our report of intestinal disease and autistic regression following MMR vaccine published in the medical journal THE LANCET in 1998, The documents prove that there was no fraud. They describe 7 of The Lancet children, and were written by Professor John Walker-Smith in December 1996, 14 months before our team’s paper was published. Professor John Walker-Smith prepared the documents as a report for a scientific meeting based upon his own assessment of the children’s disorder, supported by the study’s senior pathologist Dr. Dhillon. I was not involved in these assessments (see Level 4, Walker-Smith’s sworn testimony). I am accused of altering the findings to report disease where none existed and deceiving my colleagues in the process. It has also been revealed that Dr. Godlee, the responsible editor at the British Medical Journal that published the allegations, did not adequately check these facts – facts that were referred to in both my book, Callous Disregard: Autism and Vaccines – The Truth Behind a Tragedy, published by Skyhorse Publishing in May 2010, and my complaint about Brian Deer to the UK’s Press Complaints Commission. Professor Walker-Smith then set out, for each child, the details from the clinical history obtained by him and his medical team (of which I was not part) and the results of his own review of the tissue findings supplemented by those of Dr. Amar Dhillon, the senior pathologist involved in the investigation of this syndrome. The relevant behavioral and intestinal pathology findings were documented by him and are set out below for each of the seven children. “I advocated very strongly for the use of the single vaccines, single Measles, Mumps, Rubella, which were available at the time in the UK. The vaccination uptake did not fall. MMR went down but there was a reciprocal increase in the use of… single vaccines. Measles did not come back. Then, 6 months after I made that recommendation, the Gov’t in the UK unilaterally withdrew importation license for the single vaccines; thereby depriving parents of an opportunity to vaccinate their children. THEN, vaccination rates went down, THEN measles came back. The British Gov’t is solely responsible for that happening. ‘The panel assembled by the government and academia to judge Wakefield, ironically, dares to speak of fraud, yet their main complaint is that his findings “might endanger the ‘sacrosanct’ vaccine program,” not that his principal findings were wrong. In fact, several independent researchers found the same measles vaccine-related colitis that he described. 2002 Vaccine-Autism formal hearings – Medical testimony by Dr. Arthur Krigsman, Dep’t of Pediatrics/NYU School of Medicine, reinforces Dr. Wakefield’s overall findings: “Okay. So looking at our 43 patients, what are our cumulative results? Well, the percent of patients who have colitis, 65 percent. And by colitis, I mean either active colitis or chronic colitis. There is a difference. Active colitis, 51 percent of the patients have that; chronic colitis, 40 percent. Most patients have both, which is why the overall colitis indicator is 65 percent. Jenny Mccarthy counters Big Pharma smear campaign: “Dr. Andrew Wakefield is being discredited to prevent an historic study from being published that for the first time looks at vaccinated versus unvaccinated primates and compares health outcomes, with potentially devastating consequences for vaccine makers and public health officials. The retraction from The Lancet was a response to a ruling from England’s General Medical Council, a kangaroo court where public health officials in the pocket of vaccine makers served as judge and jury. Dr. Wakefield strenuously denies all the findings of the GMC and plans a vigorous appeal. Despite rampant misreporting, Dr. Wakefield’s original paper regarding 12 children with severe bowel disease and autism never rendered any judgment whatsoever on whether or not vaccines cause autism, and The Lancet’s retraction gets us no closer to understanding this complex issue. Dr. Wakefield is one of the world’s most respected and well-published gastroenterologists. He has published dozens of papers since 1998 in well-regarded peer-reviewed journals all over the world. His work documenting the bowel disease of children with autism and his exploration of novel ways to treat bowel disease has helped relieve the pain and suffering of thousands of children with autism. Dr. Rebecca Carley responds to attacks on Dr. Wakefield: “Re: retracted a controversial study; how can findings be “retracted”? Wakefield found measles virus in the bowel lymphoid tissue in autistic children. That is why he is being attacked, because this finding shows that the measles vaccine GAVE the children measles, which could not be eliminated due to the corruption of the immune system explained in “Inoculations the True WMD” and “Dr Carley’s Responce to the CDC” on www.drcarley.com, which occurs when viruses are injected into the bloodstream. Re: “British surgeon” and “Wakefield took blood samples from children at his son’s birthday party”, Wakefield is a gastroenterologist, not a surgeon. He found the measles virus in the lymphoid tissue in the guts of autistic children during endoscopies, which were obviously not performed at a birthday party. DR. ANDREW WAKEFIELD, THANK YOU FOR YOUR COURAGE. YES!!! 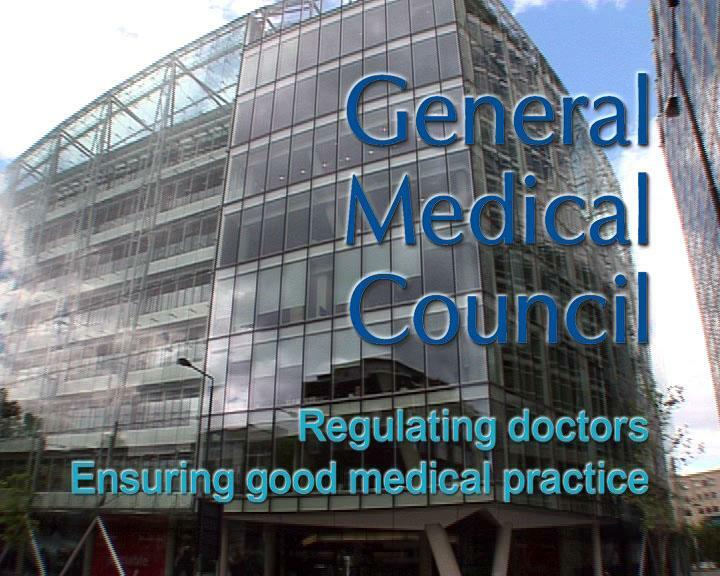 At 11:30 Parents are presenting a petition to the GMC from parents and doctors around the world in support of Drs Andrew Wakefield, John Walker-Smith and Simon Murch whose fitness to practice hearing concludes on 24 May.